I flew home from Microsoft Convergence in New Orleans arriving back in Boston around 9:00 PM last Thursday. I was tired from capturing a week’s worth of information from the Microsoft fire hose for the previous four days. But on Friday a Tsunami named Salesforce.com blew into town to inaugurate a world tour trumpeting the company’s new messaging centered on enabling enterprises to become “customer companies”. The tour and the messaging was field tested in New York last month and refined over the past few weeks to produce the Boston show and if Salesforce and its CEO Marc Benioff run true to form, the message will continue being refined throughout the spring and summer and delivered in final form at Dreamforce to be held this year in December in Salesforce’s home town of San Francisco. The big news coming out of Boston, if I understand it right, is that Chatter will become Salesforce’s primary interface. Prognosticators peeling that onion got immediately weepy eyed citing the risks involved. Surely, the logic went, when you change sales people’s UI you are asking for trouble. These people are not happy change agents after all — look what happened when SFA came onto the scene, they opined, look how poor adoption was and how passively aggressively sales people didn’t adopt. Yadda, yadda. Have they forgotten that early SFA sucked? But look how they took to Salesforce like ducks in your swimming pool. That was then and then was different or as Mark Twain liked to say history doesn’t repeat itself but it rhymes. So what’s the rhyme? Actually, it comes from two sources as I see it. First, we need to Segway to Peter Coffee, Director of Platform Research at Salesforce, and this is not a non sequitur; it has a purpose, I promise. If you’ve been to a Salesforce event in the last five years or so you know that Coffee does a pre-show to warm up the audience. Coffee is not an entertainer happy to give away prizes or perform skits the way others do at conferences. Coffee’s orientation is news. It’s focused on the matter at hand so that his effort bridges nicely into Benioff’s main event. So, one of Coffee’s interview guests last Friday was MIT professor, Andrew McAfee who, along with fellow prof, Erik Brynjolfsson just published Race Against the Machine a short book about the ways we will work in the future. The subtitle provides the Cliff’s Notes: “How the Digital Revolution is Accelerating Innovation, Driving Productivity, and Irreversibly Transforming Employment and the Economy”. Got it? No? I will post a review of this fine work (which I am not sure I agree with in all its particulars) soon. My point here, and I guess it was Coffee’s point too, is that technology is racing ahead and changing how we work and that people who don’t adapt and adopt will be left in the dust. That’s point one. Point two is the long evolution of CRM, SFA and mobility. For many years we have been touting mobile SFA applications as tools that sales representatives can use to report to their bosses upon leaving the big sales call. But now imagine if during the sales call, the rep had the ability to reach out through the mobile umbilicus to get help on any subject. Put the two ideas together and making Chatter the primary interface for CRM or SFA makes all the sense in the world. Also, you need to consider that just as we can dream up a realistic use case for selling, the same is true for service and support or even marketing. Quick aside, CMO, Kendall Collins, who was also at the event told me, “There’s only one sin we won’t forgive inside Salesforce and that’s losing alone. If you’re going to lose, lose with all the support you need.” In other words go down swinging and in other, other words, business is now, more than ever, a team sport. So I am more sanguine about the move to make Chatter the primary interface for Salesforce. It’s a natural evolution, something whose time has come. Cue the music. I am also skeptical that the big news coming out of Boston was this Chatter tidbit. The discussion involved people from not only MIT but Harvard Business School and Yale as well as representatives from the private sector like the electronics giant Phillips and Stratus the fault tolerant computing company and they are all and already moving the collaboration needle. Salesforce, as usual, is on to something. The messaging about becoming a customer company is almost right and will improve over time. And if Coffee’s intuition about having Andrew McAfee in the pre-show is right (and I think it is) then in a couple of years we’ll see other vendors ponying up with their own similar messaging just as sure as today they are (finally) “all in”, as someone once said, about the cloud. There is an interesting article in the New York Times this morning that I hope lots of people read — that means you Mr. Benioff. It’s a tale of a shoemaker’s kids going barefoot. It seems that Yahoo, trying to breathe life back into a sclerotic organization, has cancelled its work from home policy and is now mandating all workers report to the office every day. Good luck with traffic at the bottom of Silicon Valley. The commute has just gotten worse. The discussion covered in the article sounds like a low calorie beer commercial from the 1990’s. One side says we need people in the office every day to promote collaboration, creativity and innovation. The other says at home workers are more productive so leave us alone. Tastes great! Less filling! Sometimes I wonder if our inability to compromise as a society stems from this simplistic Boolean logic in which there can only be two sides and by definition the side you oppose is wrong. It harkens back to the religious wars of the Middle Ages, but I digress. But hold on; let’s tease this apart. 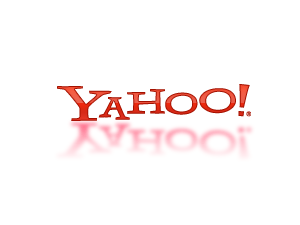 Yahoo wants to ape Google’s culture and that’s understandable given that the 37-year-old CEO, Marissa Mayer, hails from there. That culture devotes less than 100 square feet to each employee and channels foot traffic to encourage human-to-human interaction, the better to cause serendipitous face-to-face meetings and things like collaboration and innovation. That’s nice, even laudable, but in the twenty-first century, this new dictate seems a bit draconian. Hasn’t Yahoo ever heard of collaboration software? Social media? Chatter? Yammer? I realize Yahoo is in San Jose and Salesforce and Yammer and others are way up the coast in the big city but they could track these solutions down on…the Internet perhaps? It is astounding that a company like Yahoo could be in such a situation and that it could be so ostensibly unaware of how this looks to share it with the world. While the issues of collaboration and innovation are the right ones for any company to chase, this solution only works for people reporting to the same building and there are only so many interactions you can prompt in a day. Most importantly, there’s Dunbar’s number, which is the cognitive limit to the number of people with whom you can maintain a stable social relationship. Depending on the individual that number is between 150 and 220. Social media like collaboration software helps to extend Dunbar’s number for many people and it breaks down the barriers set by geography, something that companies with more than one building have to cope with. Collaboration tools make no distinction between collaboration with someone down the hall, across the country or half way around the world. The beauty and importance of collaboration and social software is that they break the limitations of human contact so the only question for me is why isn’t Yahoo — a pioneering Internet company — publicizing its uptake (we hope) of this new technology instead of moaning about this policy from the last ice age? Yammer announced an impressive $85 million financing last week. You can get the details here http://mwne.ws/wp4GtZ . You might already know that Yammer provides enterprise social networks, the kind of collaborative spaces that enable employees to “swarm” on issues to achieve resolution or deal with a customer issue for instance. Yammer claims that more than 85% of the Fortune 500 use their products. (The swarm idea comes from business writer Stephen Denning in The Leaders’ Guide to Radical Management). If enterprise social networks sounds familiar it may be because Salesforce.com has put so much into it with its own product, Chatter, which has penetrated enterprises such as Dell, NBC, Comcast and Burberry’s. Though off hand I don’t know what percent of the F500 use it the company talks about tens of thousands of customers though since Chatter is included the basic monthly service. Suffice it to say that Salesforce has been carrying the water to educate the market so far — Yammer’s PR said they would launch their first ad campaign March 1, for instance. But ads or not, these companies and some others are carrying an important new message to enterprises — get on the social express or you’ll be dog meat in a little while — or words like that. Permit me to change course here. So far the rollout of social media in the enterprise follows a normal hype cycle curve. It’s the same idea that Geoffrey Moore documented in the 1990’s in the Crossing the Chasm series — everybody needs to buy the new gizmo to secure competitive advantage. This is great because the companies that offer the new, new thing sell it like crazy for a few years. Some of them burn out, sometimes in spectacular fashion, and a few limp across the first finish line (an IPO) and become real companies. But freemium has a different set of issues. Some companies are just fine with the free version, some don’t use it and vendors discover that only a small portion of the initial users turn into paying customers. That’s life. With a freemium approach you don’t need an expensive sales team and marketing can be minimal because customers show themselves the value of the product, which might explain why most don’t turn into buyers. Rather than the freemium approach, I offer a different way to appeal to companies to buy social wares. I just finished the Steve Jobs bio and one of the things that struck me was how much Jobs wanted to leave a legacy, a company that would be great for a long time after him, like HP had been in his youth. There may be many C-level officers who really only care about making money because cash is how they keep score. But under the power suits I think you are more likely to also find a person who puts in many hours and for whom the enterprise is the achievement of a lifetime — dare I say a monument to the executive’s cunning and ability to lead? If money was the only important thing I have to believe executives would not work as hard as they do. Flying to China or Japan might sound exotic but it gets old. Once you’re certain that the next generation or two of your kids will have a good life, your attention turns to the legacy, what you’ll leave behind for the next guy and the shareholders. So here’s my proposition. The vast majority of the new products coming onto the scene in any decade are things that make money, contain costs or, occasionally improve customer satisfaction. But social is different. It is no stretch of the imagination to say that social can do all three and even more important, it is giving companies the ability to change who and what they are. When you get down to it, social’s core offer and benefit is that it enables you to make a great business by leapfrogging over old ideas, processes and procedures to make customers more satisfied which in turn leads to everything else like money. By making information ubiquitous social (i.e. employee collaboration) ensures decisions can get made for the right reasons and in the right time frame and helps build a great business. Building a great business, a great company — the legacy — is where it’s at. So the big mystery to me is why the vendors in this fantastic market are selling their wares as technologies or services. Sure, social technologies in all their forms are new and the market requires a certain amount of massaging to get early buyers. But rather than selling social as an end in itself to mid-level managers, I think I’d be selling the legacy idea to the C-suite. You don’t get to make a pitch like this every day and it would be a shame not to take advantage of the opportunity. Data privacy expert and attorney, Cameron Shilling, explains how it all works on our home page http://beagleresearch.com/.